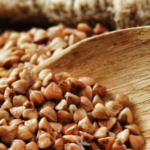 Prepare LifeField Buckwheat groats using Basic Recipe. Add onion and bouillon cube dissolved in 1 cup water. Add parsley, alt, pepper. 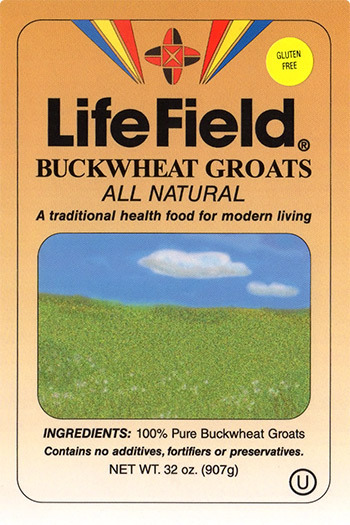 Stir well into LifeField Buckwheat groats. Cut off tops of peppers. Core. Boil peppers in 4 quarts of water for about 10 minutes or until skin softens. Remove from water. Stuff peppers with LifeField Buckwheat groats mixture. Place peppers upright in large skillet with water on bottom to absorb heat. Pour tomato sauce over peppers. Cover and simmer for 20-25 minutes. Baste occasionally. Serve on a bed of lettuce with steam carrots.